With a constant stream of Internet connected devices hitting the market, the Internet of Things (IoT) is growing every day. Avangate, an e-commerce company, has recently announced that Bitdefender, a digital security provider, is using its platform to sell the first security solution designed to protect IoT devices in the U.S. 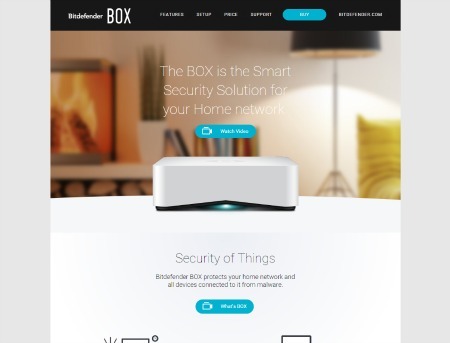 According to Avangate, Bitdefender’s IoT security platform, dubbed “Bitdefender BOX,” is a small hardware device that connects to users’ home wireless router and scans network traffic to detect and block potential security and malware threats from every device on the network. Once the hardware is installed, users are able to monitor and customize the settings through an accompanying Android or iOS mobile app. It is important to note that in order for Bitdefender BOX to protect users’ IoT devices year after year, users must renew their yearly subscription to the service. "With 35 percent of Americans planning to invest in IoT devices in the next six months, the need for a solution to help enable the 'Security of Things' is more critical than ever before," said Catalin Cosoi, chief security strategist of Bitdefender. “We are confident knowing Avangate can handle everything from the initial delivery of BOX's hardware component, to managing the recurring online subscription for our additional software services, helping us alleviate the monetization challenge inherent to IoT and allowing us to focus on our technology and go to market strategy."